Visit the online Wink Artisans Etsy Shop and begin saving! Here's your chance to get your Wink Calavera! 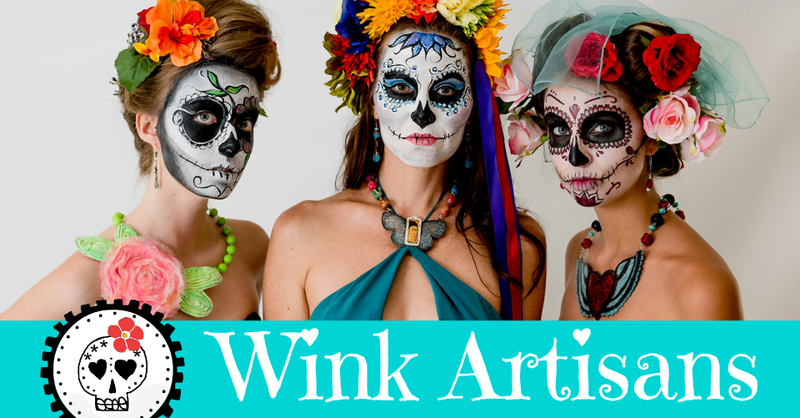 Visit the Wink Artisans Calavera Section on our online Etsy shop on Friday, October 19th, 12 - 4 PM and score your favorite Day of the Dead bling at 30% off. Don't delay, we only have 13 days 'til the muertos return! The small print: Excludes non-calavera items, custom orders, shipping and applicable sales tax.